Ever wondered what your neighborhood looked like in the 1930s, or how you can help to reimagine where you live today? A rediscovered scale model of San Francisco from 1938 is coming to a branch near you, as a starting point for community discussion. 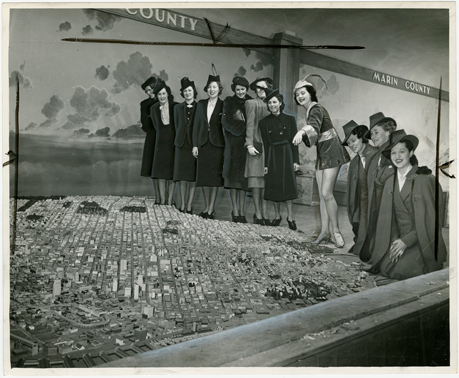 Beginning January 25, 2019, Take Part will reunite the model with the public, as sections of the scale model will be featured at the Main Library and branch locations as a catalyst for conversation and events about San Francisco’s past, present and future—its challenges and opportunities. Join us for more than 100 related programs and activities for all ages at library locations across the city, including SFMOMA's Public Knowledge Library, through April 28, 2019. A final phase of the project, later in 2019 or 2020, will bring the whole scale model together into public view. See publicknowledge.sfmoma.org/take-part for more information or visit your local branch.